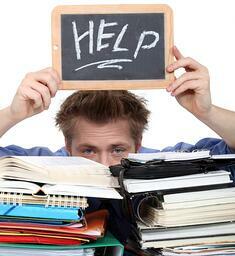 Studies have shown that student’s with high levels of anxiety have shown to have poor study skills. If students with high levels of anxiety have poor study skills than it can be deduced that study skill learning could reduce anxiety and increase academic performance (Schacter, 2007). Effective study skills instruction has typically been found to be effective in reducing anxiety or developing better academic achievement. Steps you can take: Assess your child's environment. Is their space, room, desk or backpack organized? Do they know how to use a school calendar properly? Do they know how to plan ahead? Do they forget to turn in their assignments, forget where the assignment is or forget to do the assignment? Do they know how to prepare for finals or tests? If they are struggling with any of these it may be time to hire someone to help them get organized. Being organized and learning proper study skills can reduce their anxiety, increase their motivation and improve their grades. Studies have found that when a teacher shows an interest in helping a student improve one’s poor grades, the teacher’s interest can reduce test anxiety in the student (Bensoussan, 2012). According to one study, when students believed that they had the support of their teacher or the school system, for example, by answering bonus questions, students were willing to put more effort into studying and their anxiety seemed to be reduced. These interventions appeared to increase motivation in students, thus giving them more confidence and reducing their anxiety (Bensoussan, 2012). Steps you can take: Set a meeting with your student's teacher & discuss creative ways to help your child feel more comfortable in their classroom. Many teachers are open to exploring such interventions. Studies have shown that when there are no time pressures, children with anxiety perform quite well, and as well as students without anxiety issues. The true discovery is if certain conditions are removed, students with anxiety can experience less anxiety and their performance can be optimized. Further, reduced anxiety can help improve motivation in a student which can also translate into better academic performance (Hill & Wigfield, 1984). Steps you can take: Talk to your student's school about an IEP. With an IEP many student's are given extended time and other accomodations to help lower the pressure student's experience in certain situations. Further, your student's teacher may have other ideas or resources that can help your student, so defintely make your meeting with your child's teacher today! While anxiety is prevalent, challenging student’s academic endeavors worldwide, studies have shown that given the proper intervention and attention, student’s can learn effective strategies and tools to help minimize the negative impact anxiety may have. With that said, if your student has anxiety there is hope for them to improve their conditions, thereby leading them to be a more motivated, challenged and involved student. In your experience if you have found other effective ways that helped your child to reduce their anxiety, please share so other's can learn from you. Bensoussan, M. (2012). Alleviating test anxiety for students of advanced reading comprehension. RELC Journal, 43(2), 203--216. Hill, K. and Wigfield, A. (1984). Test Anxiety: A Major Educational Problem and What Can Be Done about It. ELEM SCHOOL J, 85(1), p.105. Huberty, T. (2009). Test and Performance Anxiety. Principal Leadership. Schachter, R. (2007). Enhancing Performance on the Scholastic Aptitude Test for Test-Anxious High School Students. Biofeedback, 35(3), 105-109.